Samsung recently released the new 970 PRO and 970 EVO M.2 NVMe SSDs; featuring Samsung’s 64 layer V-NAND 2-bit MLC and Samsung’s Phoenix Controller. These two are the immediate successor of the 960 PRO and EVO series that were announced in September 2016. Both the 970 Pro and Evo offers sequential read speeds of up to 3,500 MB/s or up to 500,000 IOPS of random read speed. The 970 EVO is capable of reaching up to 2,500 MB/s sequential write speeds or 480,000 IOPS; while the 980 PRO is 200MB/s faster at 2,700 MB/s seq. read or 500,000 IOPS random write. Check out the rest of its features, specs and pricing below. Samsung Electronics America, Inc., announces the Samsung 970 PRO and EVO, the third generation of its industry-leading consumer solid state drive (SSD) lineup. 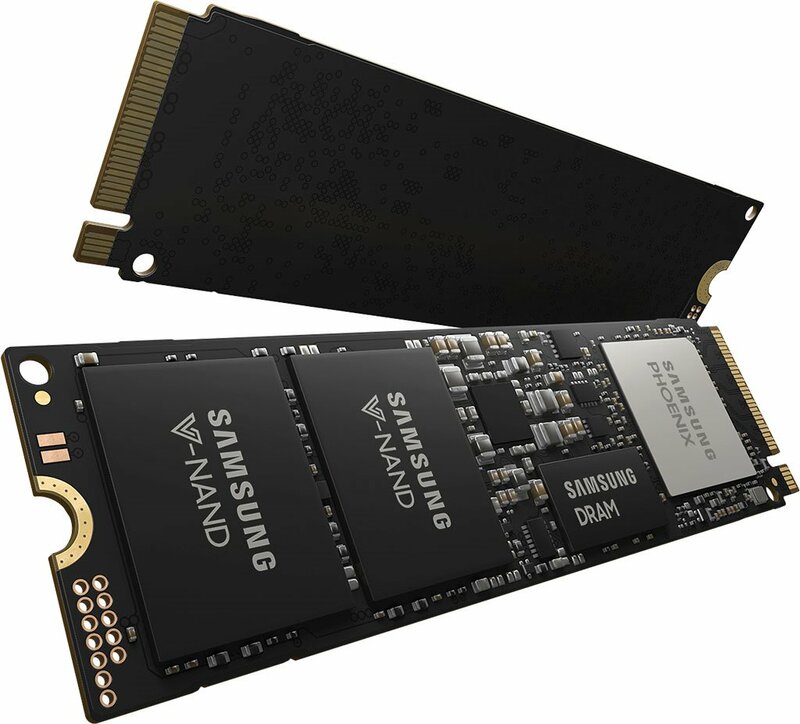 Having led the market with the first consumer-focused NVMe SSD in 2015, Samsung continues to push the performance barriers with this latest generation of SSDs that are built for tech enthusiasts and professionals so that they can enjoy higher bandwidth for intensive workloads on PCs and workstations. 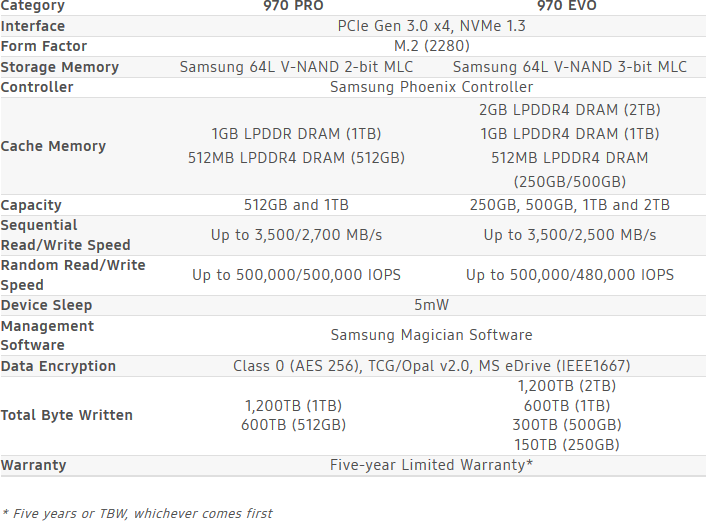 The Samsung 970 EVO is available in 250GB, 500GB, 1TB and 2TB8 capacities, and the 970 PRO in 512GB and 1TB capacities. The 970 PRO and EVO will be available for purchase worldwide starting May 7, 2018, with manufacturer’s suggested retail prices starting at $329.99 and $119.99 USD, respectively.